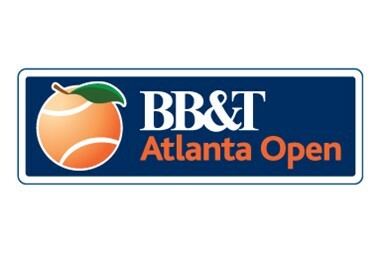 Tuesday at the 2015 BB&T Atlanta Open saw three American men book their spots into round 2, while four more in total were sent packing on a day in which all but one singles match featured at least one American player. Denis Kudla narrowly survived Ryan Harrison 3-6 6-4 7-6(5), but all the same he continues his good form from Wimbledon and appeared happy to get the win coming from behind. Harrison got off to a strong start in the first set and was winning the baseline rallies with pace going 5-1 up before Kudla could start playing himself into the match. Kudla started steadily improving as both players, but especially Kudla, who at times was rolling in 70 mph second serves, were leaving points to be won on rallies. The American rivals slapped the ball back and forth on the baseline, with Harrison mixing in the occasional 130+ mph plus serve when he could. Harrison was a fantastic counterpuncher on his best points of the match, lulling Kudla to sleep with his defensive slice and then delivering a stunning accelerating winner, but unfortunately he couldn’t maintain that level and had issues with his shot selection. Given the difficult conditions it seemed both players were content to let their rival hold serve if they didn’t win the opening point of the service game as a returner. A pair of breaks in set 2 saw it go to 5-4 Kudla, and then Harrison was promptly broken under pressure to be forced into a third set 6-3 4-6. The third set remained competitive and close, and though it went by quickly, Kudla had to save a break point and Harrison had to save two, as Kudla had a point to go 5-3 up in the third and serve for the match, but was quite unclutch in that moment. Eventually the match ground itself to a third set tiebreak and it was Kudla who was slightly steadier from the ground who won it. Harrison’s footwork tended to be lacking and he slapped an easy forehand into the net on a crucial point as Kudla needed just 1 match point to close things out. All in both both players showed a relative lack of inventive shotmaking, and Harrison with his footwork troubles demonstrated why his ranking has slipped from where it used to be. Steve Johnson played a sloppy second set tiebreak, but otherwise had the better of Lukas Lacko as he advanced 6-1 6-7(3) 6-2 in close to 2 hours. Johnson, who was effective with his serve, dominated a slow starting Lacko in the first set, going up 5-0 with minimal effort required before Lukas even woke up from his slumber. The talented but underachieving Lacko did wake up though, holding it together in set 2 after saving four break point chances at 2-2, and one more at 3-3 to eventually force a second set tiebreak. Johnson was tight and tense in that tiebreak, and Lacko forced a third set 7-3, after the tiebreak went to 3-3 even, the Slovak railed off four straight points. Lacko, who hit some nice forehand winners, showed the ability to hit through and past Johnson, but Johnson was simply more consistent from both wings, as Lacko would hit a nice winner followed by multiple errors. The wheels really came off for Lacko at 2-3 in the third set, and he failed to win another game (though he had one more break point), as Johnson escaped what could have been a longer and more competitive battle. Though pushed to three sets Kudla and Johnson both survived and advanced and appear to be in solid shape going into the next round. This can also be said of Jared Donaldson, as the American teen moved his win streak to four matches in a row with a main draw win over Somdev Devvarman 6-1 3-6 6-4. Donaldson played incredible tennis in the first set against the steady but relatively weaponless Devvarman. The wheels came off for the Taylor Dent coached Californian in set 2, and he was dealing with cramping in the hot conditions, but in the end the fans seemed to pull him through. In the third set after a bunch of routine holds Donaldson had two match points from 15-40, Devvarman got lucky and saved one of them in incredible fashion with a defense to offense running forehand winner, but Donaldson won the next point, and earned a big win for his new career. The composure that Donaldson showed in an ATP main draw match was not demonstrated by his fellow American teenager Frances Tiafoe, to the chagrin of Tiafoe’s many fans at Atlantic Station. Tiafoe fell to Sam Groth 7-6(3) 6-4 in a little under an hour and a half. As is to be expected Groth’s massive serve was present from the beginning of the match, and since it never left him, Tiafoe found himself frustrated and neutralized when returning. The D.C. area resident was solid on his own serve as Groth lacked much of a ground stroke game and moved poorly, but when it came down to crunch time Groth saved the only break point he faced serving 5-5 in the first set, and then slipped through the tiebreak. Groth rocketed first serves past a stunned Tiafoe, while he used kick on his second serve to either finish points at the net, or force Tiafoe to concede an ace or reply with an error of a return. The 17 year old’s body language was awful, especially after losing the first set, he was slumping and moping about, and it was visible to everyone that his inability to mount any sort of a return game had infected his mind with doubts. Tiafoe checked out in the second as he quickly went down 7-6 2-0 to Groth. He did avoid the double break and stayed in touch with Groth the rest of the match, but Groth appeared content to just hold serve like a silent assassin while Tiafoe, with his lost focus, slammed his racquet late in the second, and before you knew it it was Groth who was into round 2. Tiafoe showed promise with his abilities but he still has a lot to learn and improve upon in coming years, hopefully the challenger tour will help mold his game, including self-belief, and the mentality side of the pro game. His shot selection, with questionable drop shots, and his ability to pass a net-rusher like Groth also came accross as holes in his game. The match performance of the day goes to Marcos Baghdatis, the Cypriot veteran was given a noon time match, and it was clear he had little interest in staying on court for an extended period of time. Baghdatis comfortably went about his business dispatching qualifier Austin Krajicek 6-4 6-0. Krajicek simply lacked the weaponry to deal with a creative and aggressive shotmaker in Baghdatis. Marcos broke in the opening game with crafty play, and then held serve through the first set without facing a break point, even though he missed a chance to go up two breaks. In the second Krajicek was broken in the opening game again, but had two break points to even things back up, he failed to do so, and from there it was routine one-way traffic for Baggy who had some great angles on his forehand and also played some quality drop shots. Krajicek was forced to hit weak slices well behind the baseline as Baghdatis appears to be in great form for his next match. It’s also worth noting he appears to be fit, after previously lacking fitness in recent years, and he seems serious about playing tennis these days. Joining Baghdatis in round 2 is fellow veteran Benjamin Becker, Becker won the first set over Michael Berrer and then Berrer, who had spent the week in Bogota the week prior, retired 7-5 down. It appears that Becker is past the back injuries that were ailing him in recent weeks. Last but certainly not least in Tuesday singles, Dudi Sela and Mardy Fish played the night session singles match, a match that would prove to be Fish’s final singles match in Atlanta as he lost 6-4 6-4. The defending finalist Sela was shaky at times in what was a sloppy error-strewn match from both players, but at the end of the day Fish, who hadn’t played an ATP match since March, was the rusty one. The fan-favorite Fish found himself broken to go down 3-1 at the start, he broke back for 4-4, but then got broken once more as Sela held on to take the first 6-4. Very few rallies went longer than five shots as it was a serve+ short rally type of match with break points peppered throughout, as neither player featured a particularly strong serve, Fish simply rusty with his first serves, and Sela lacking weaponry. Sela saved four break points in the second set in clutch fashion, while Fish saved two before again being broken late for 5-4 and then surrendering the match as he couldn’t break Sela in his final service game. Both players got ovations from the crowd post match, while Sela mused he wasn’t a big fan of the court conditions. It’s also worth noting Fish showed spark, even on his farewell tour, as he had a rather lengthy argument with the chair umpire during the second set. In doubles, surprising results were the norm, the #4 seeds Pavic/Venus fell to Atlanta’s Young/Eubanks 6-2 3-6 10-5, Mannarino/Ebden were run out of the building by Butorac/Sitak 6-2 6-0, and the defending champion team of Pospisil/Sock were stunned by Fleming/Muller 6-4 4-6 10-6 as the draw opens up for that interesting pairing. Matches on Wednesday include Vasek Pospisil against Rendy Lu in their first head to head meeting, Baghdatis against Groth in a battle of baseline attack against serve and volley, Ricardas Berankis and Tim Smyczek in a first round match, Chris Eubanks against Radek Stepanek in the other remaining round 1 match, Go Soeda, who appears to be rounding into form, against Adrian Mannarino, who may struggle in these conditions, and an in-form Gilles Muller against Jared Donaldson who may lack the ability to recover after four matches in four days this week. A whole host of doubles matches will also take place as the first round gets going in earnest with the doubles draw as well.